Happy New Year and welcome to a merry new reading year at Read 52 Books in 52 Weeks. Welcome back to all who are joining me for another round and to those joining in for the first time. The rules are very simple. Read 52 Books. That's it. How you get there is up to you. We have several optional challenges listed in the link bar above to stimulate your imagination and help you on your reading journeys. 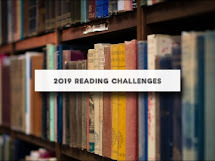 In addition to the perpetual A to Z, Well Educated Mind challenge, Dusty/Chunky books, and another journey Around the World, we will be having some readalongs, an Author Flavor of the Month as well as monthly themes to tickle your reading taste buds. I'll be throwing in mini challenges here and there such as pick a book with a color or number or season in the title, or pick a book written in your birth year. To start off our mind voyage for the year, this month's theme is January Journeys - rambling jaunts and walks, translated and transformed. We'll be packing up our backpacks, replacing those old thread worn walking shoes for a new pair, and sailing (or flying if you prefer) out across the Pacific toward the far eastern shores of the continent of Asia. Where you go from there is up to you. We'll be rambling and roving around reading translated books, exploring and examining different cultures and delving into the present as well as the past. We'll be starting out with a year long read of Susan Wise Bauer's History of the Medieval World. The goal is to finish by the end of the year so we will aim for one to two chapters a week. Our author flavor of the month is Haruki Murakami (born 1/12/49) and I'll be diving into Hard Boiled Wonderland and the End of the World while a few other gals on Well Trained Mind forums are choosing to delve into Kafka on the Shore. I thoroughly enjoyed reading 1Q84 and still contemplating the strangeness of A Wind Up Bird Chronicle. Check out one of his books this month if you choose. I have found several resources for translated books and if you know of any I haven't mentioned, please let me know and we'll add it to the list. 3% - A resource for international books by the University of Rochester. I ended up exploring many rabbit trails through this site. Archipelago Books - Thanks to this company, I currently have Blinding and The Great Weaver of Kashmir in my backpack. Glagoslav Publications - Translations from Russia, Ukraine and Belarus for English and Dutch readers. Europa Editions has now created World Noir specializing in international crime fiction. Our first week is going to run from today through Saturday, January 10th so enjoy, relax and have fun exploring. I look forward to hearing all about your finds. i am new...!! need help to figure this out!! Just let me know what you need help with and we will take it from there. This is my first year doing this and my first book finished! I'm excited to keep going! Welcome and glad you decided to join in! First book finished, 'Emma' by Alexander McCall Smith. Really enjoyed this modern version of much loved classic. Great, I'll have to check it out. this is on my list to read, I have loved all these new rewrites of Jane Austen. Happy reading year to you! One of my goals this year is to actually link up all the books I read. I have a question, though. Some books I read do not fit with my blog readership and I review them on GoodReads. May I link up GoodReads reviews here? Good goal. I quite reviewing all together last year so something I aught to consider. Mini goodreads reviews. Yes, you can link up to your goodreads reviews.